Our Main Studio is a pastel lit, beautiful space where we hold majority of our classes, functions and some event evenings. Our aim for this space was to provide the most professional, inviting and clean setup possible for our clients. Main Studio has x14 poles for students (Classes vary in size 4 -14) and a stage with 2 poles for instructor use and performance. 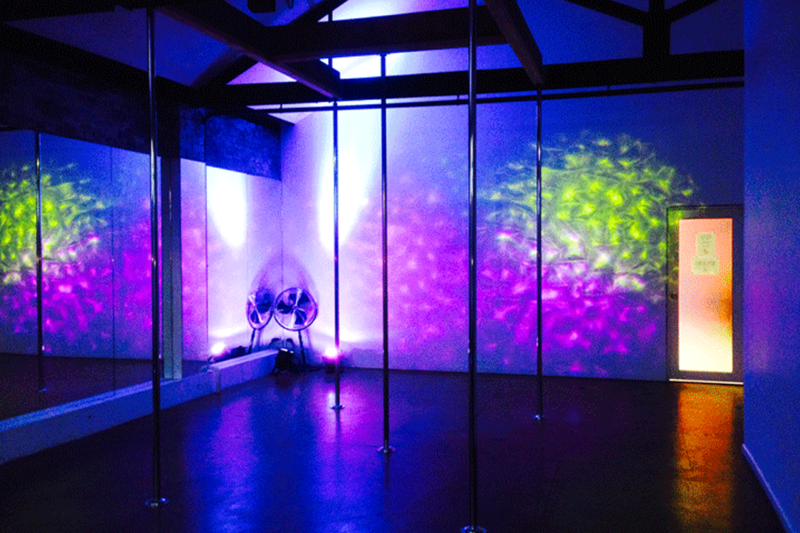 All poles in Main Studio are 45mm Stainless Steel Commercial Grade ‘Pussycat Poles’. Pussycat Pole are a trusted professional Australian Pole manufacturer and of the highest quality poles built for commercial use. This space is fully air conditioned, ventilated and sound proofed for comfort of our clients. We have a selection of Lulu Lemon yoga mats, blocks and crash mats available for use during classes and practice and our sound system is amazing! Main Studio is available to hire for $50 per hour. This is our more cosy studio space with a warehouse feel, exposed beams and soft coloured lighting. This space is used for smaller class sizes, events and hire. There are 8 poles in Studio 2. We have x2 38mm Brass Pussycat Poles at a height of 3.1m and 3m apart suitable for comp training. The surrounding 6 poles in this space are 45mm Stainless Steel Pussycat Poles. We have a selection of Lulu Lemon mats, blocks and crash mats available for use during classes and practice time and a great sound system! Studio 2 is available for hire for $30 per hour. Minimum 2 hours hire is required for days we are closed and some hours outside our regular hire availability. Contact the studio with any enquiries or to find out our availability and terms.